David Clayton began scuba diving for jade in the Pacific ocean off the Big Sur coast of California in 1969. He learned lapidary work in the early 70‘s and subsequently applied his methods to sculpting the jades he had collected. 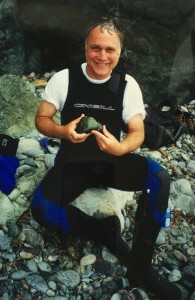 David founded Gems & Jade (Jadecarver.com) in 1997. 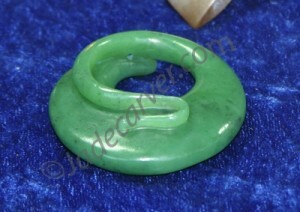 As a jade carver, David uses the products he offers on Jadecarver.com. He offers consulting advise to his clients on techniques and tools for working jade. Jadecarver.com provides high quality diamond tools for the lapidary, sculpturing, stone, glass, tile, welding, manufacturing and space industries. David custom designs many of the diamond tools found on the website. Jadecarver.com offers jade sculptures, jade boulders, and jade rough from around the world, specializing in nephrite jade from Siberia, Wyoming, California, and jadeite from Burma (now referred to as Myanmar). Hand-picked gemstones and beautiful jewelry, including extraordinary jade jewelry, are also available on this site.